The Sydney Startup Hub has helped NSW become the innovation capital of Australia according to a new report, with more than $182 million in investment generated and hundreds of jobs created, during its first year in operation. Minister for Innovation Matt Kean said the $35 million investment to create the global hub was paying off with rapid growth in startup businesses. 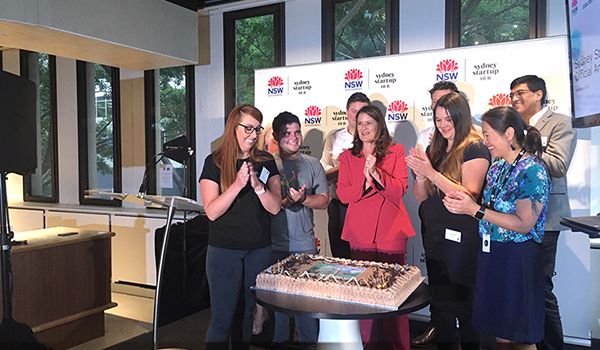 “With more than 480 startups and 2,500 people, the Sydney Startup Hub has become the home for startup activity in NSW and Australia,” Mr Kean said. Deputy Premier and Minister for Regional NSW and Small Business John Barilaro said startup numbers had grown fast in the Hub’s leading co-working communities - including Fishburners, Tank Stream Labs, The Studio, and Stone & Chalk – and regional entrepreneurs were being linked in via the Regional Landing Pad. “The Hub’s Regional Landing Pad has provided a Sydney base for regional entrepreneurs hosting 1070 business meetings,” Mr Barilaro said. Many of the startups have attracted significant venture capital and angel investment like XM Cyber ($22 million), AI Unleash ($4.75 million) and OOVVUU ($10 million). The Hub has also attracted large corporate accelerators from Microsoft, Optus and Caltex. This month Microsoft graduated the first 12 startups from its Scale Up Program. Stone and Chalk CEO Alex Scandurra said its startups had raised over $100 million investment in the past year. “The Sydney Startup Hub has been a real signal to the market the government gets it and is prepared to invest in this sector,” he said. Fishburners CEO Pandora Shelley said its members had tripled from 200 to 600 since moving into the Hub. “Our members have recorded about $65 million in sales, raised about $40 million investment and created close to 1,000 jobs,” she said. Tank Stream Labs Chief Operating Officer Yaron Rudman said the Hub had become the home of startups. “We now have 85 startups and 250 people with 97.5 per cent desk use. We’ve seen companies expand five to ten times in 12 months,” he said. The Studio CEO Chantal Abouchar said since Australia’s first media technology incubator opened it had attracted 40 startups. “Our startups have now raised over $25 million and are scaling and creating jobs. It’s incredibly exciting,” she said.